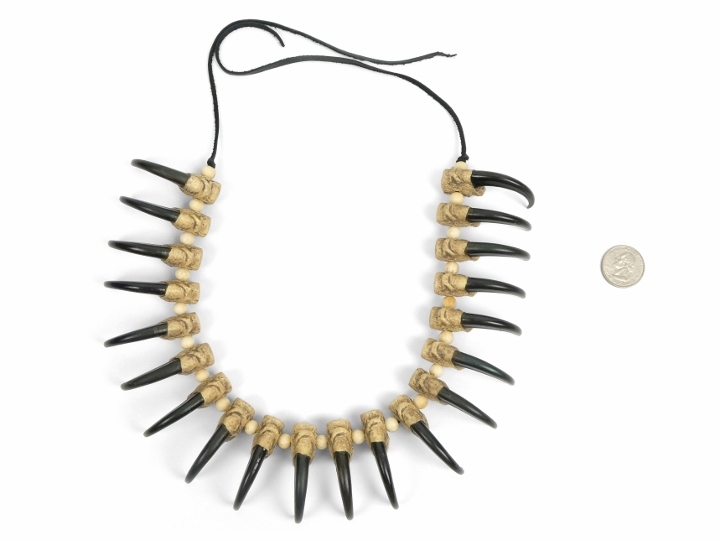 See the 20-Claw Eagle Claw Necklace with a quarter. 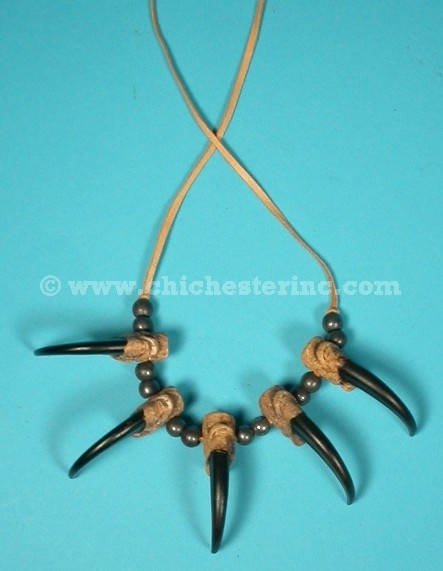 These Realistic Claw Pendants look so real that they have even fooled conservation officers! 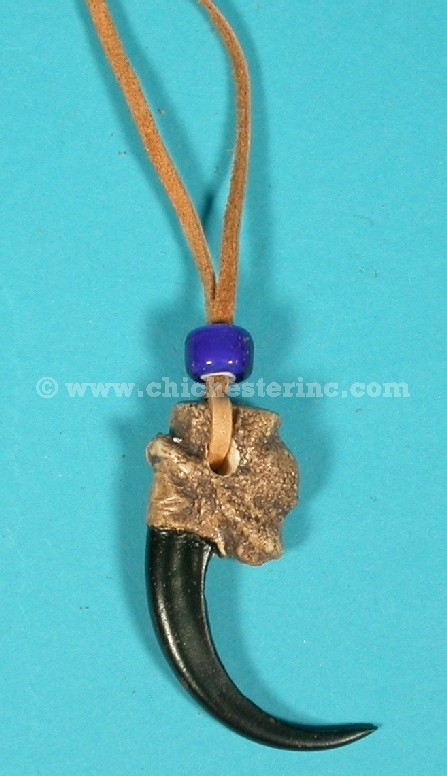 The eagle claws are made from quality plastic resin and are hand-painted in the USA. 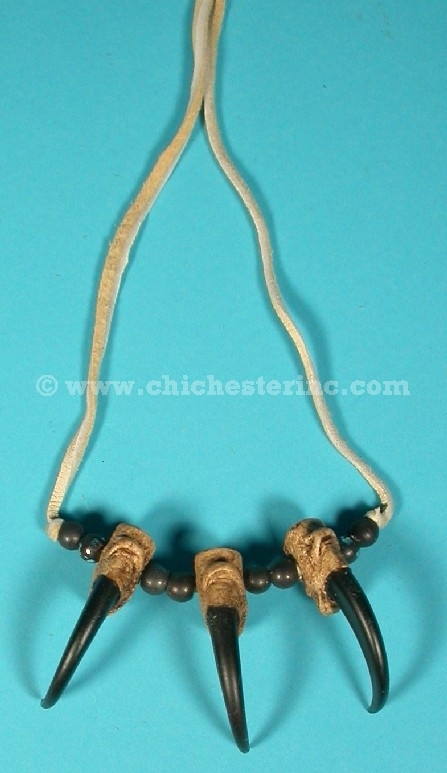 They come on a 32” deerskin neck strap. 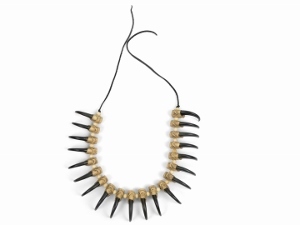 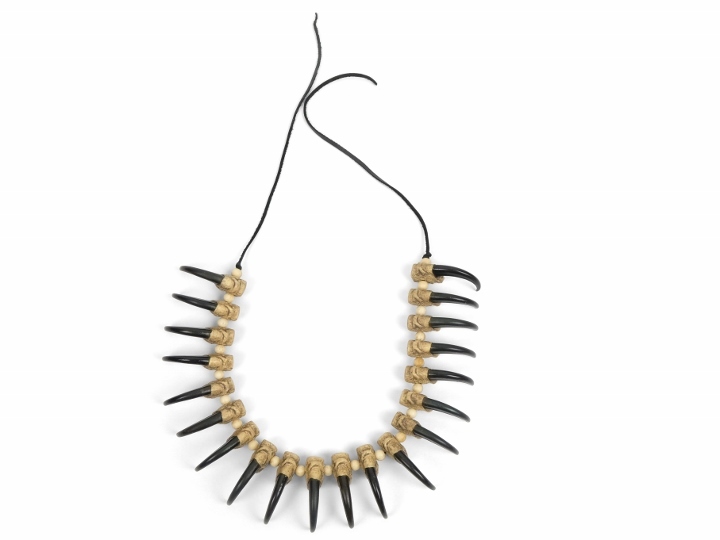 The multi-claw necklaces have oxidized (antiqued) brass beads and the 1-claw necklaces have a glass crow bead.